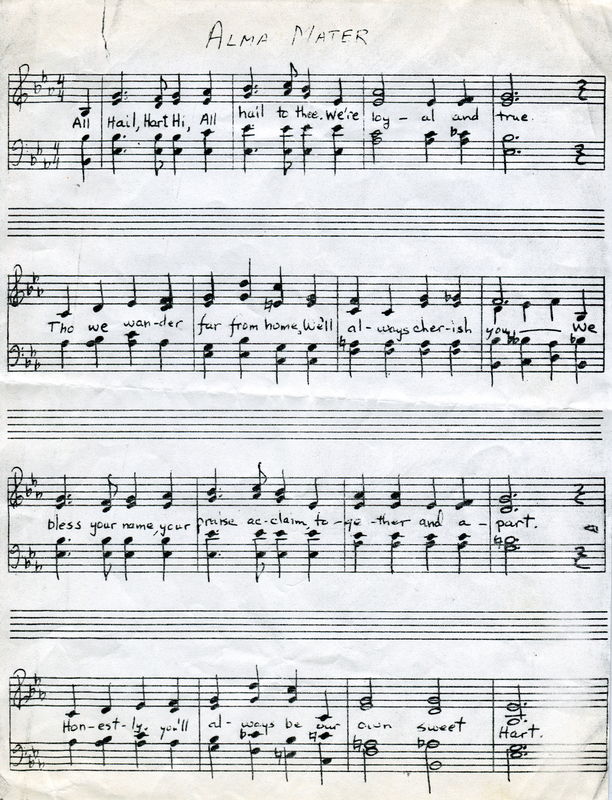 Gwen (1949) and Dean (1950) Gallion's copy of the Hart High School Alma Mater, written by Cecil Sims and adopted during the 1970-71 academic year. It is supposed to be sung with the index and middle fingers of the right hand raised in a "V" (for victory) formation. Sims, an English and social studies teacher, was one of the school's original faculty members in the 1940s and taught for many years. All hail, Hart Hi(gh), all hail to thee.